Intrigued by the blend of world mythologies in Virginia King’s mystical psychological mystery, The First Lie, I asked her to write a guest post on how she wove mythical elements into her fiction. Virginia’s answer to that question follows. 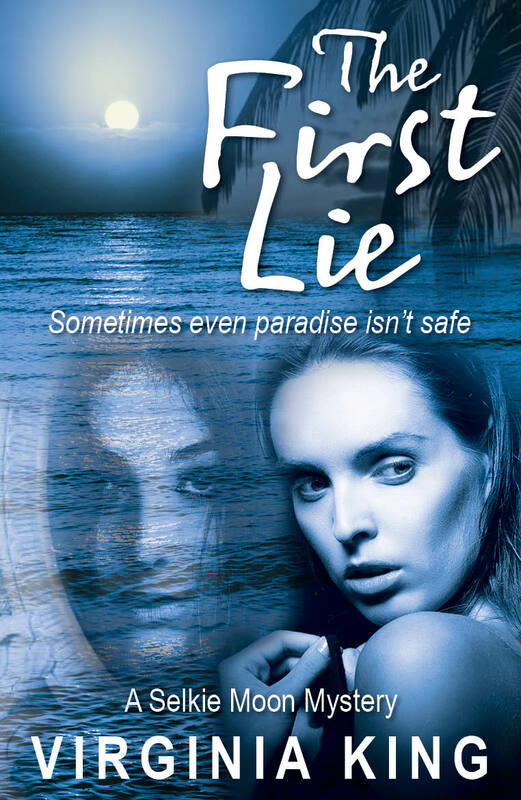 In The First Lie, Australian girl Selkie Moon has run away to Hawaii to escape a destructive relationship but she’s landed herself in the middle of a mythical nightmare. Her name already has mythic origins – her mother named her after the selkies, the Celtic seal people who peel off their skins and dance in the moonlight on human legs. Ironic, since Selkie almost drowned as a toddler and has been afraid of the sea ever since. Now that she’s arrived in Hawaii, with mythical symbols lurking under every lava rock, a series of bizarre events beset her. It all begins when a voice wakes her from a dream: Someone is trying to kill you. The First Lie was originally set in Sydney, my home town. The writing was going through a flat patch so I decided to re-energize by grabbing a camera and visiting all the locations in the story—a whole day on the road. The outcome of that fateful excursion wasn’t what I expected. I came home and burst into tears. None of the places spoke to me. In desperation I dropped Selkie into a whole new location, Hawaii, and the story came to life. She was now a stranger in a strange place, so I was on a journey of discovery too. My editor wasn’t too sure about it: You’ve got an Australian main character in a Hawaiian setting, but you’re drawing on Irish/Scottish mythology (selkies); it’s difficult to make those disparate elements fit together cohesively. She suggested moving the story to Ireland or giving Selkie a Hawaiian name, but I did the opposite. I made it work. I mingled the mythical elements across the cultures to see what happened. I don’t plan when I write because it stifles psychological layers emerging in the story. Instead, if I get an idea— no matter how bizarre—I drop it into the manuscript and let it ride, let it niggle away at me until something pops. It’s incredible how connections form—usually in the middle of the night—each time adding another layer of depth. I wake most mornings and decipher the notes I’ve scribbled while half asleep. In Chapter One, Selkie sees something strange in a mirror. It once belonged to a Kahuna and has special powers. Mirrors feature in many real Hawaiian encounters with the supernatural and they drip with symbolism in fairy tales—remember the queen in Snow White. I allowed aspects of these elements to create their own consequences. The mirror inspires some mythic scenes later in the book. The First Lie is not a retelling of the selkie myth, but selkies create their own psychological thread. The myth involves a fisherman stealing a selkie’s pelt as the selkies dance in the moonlight. When one selkie can’t find her skin, she has to go with him and be his wife. Then seven years later, she finds where he’s hidden it and returns to the sea without looking back. This is an issue of identity, of theft, of soul. I used these concepts to add depth to this modern mystery. Pele, the volcano goddess, has been encountered by many real Hawaiians. She’s associated with warnings of danger, such as house fires and other mishaps. Selkie is being stalked by a mysterious woman. Could she be Pele? Then there’s the landslide on the highway that sends Selkie and her friends in the opposite direction. Or could the stalker be warning Selkie about one of her new friends? For a Celtic connection, I created a fictional Hawaiian beach named by a homesick Irishman—only to remember in the middle of the night that there’s a place in Sydney with the same name, just near Selkie’s childhood home. Spooky! And there are monk seals in Hawaii—they’re aumakuas or animal spirit guides that look out for the living. Meanwhile in Europe, scientists have theorised that the sirens in The Odyssey, who lured sailors to their deaths with their singing, may have been based on the moaning of monk seals. Greek mythology too? Yes, because the oceans are interconnected. Add another layer. Just to make my editor’s head spin, Selkie has a fondness for Chinese food. Chinese mythology adds another thread to the mystery. Cowry shells, hugely symbolic in the islands and around the world, were used to create the Chinese symbol for money—survival in a strange place is an element in the story. And the cooks in Selkie’s favourite noodle bar see something in her aura that no-one else can see—old friend from far away—the Chinese phrase for a memory. It plunges Selkie into a deep investigation of her past. I had no idea how The First Lie would end until all the mythical layers and threads collided in the last chapter. I just had to trust that the banquet of consequences would be—as the Irish might describe it—grand. Virginia King has lived most of her life in Sydney, but has travelled to many places. 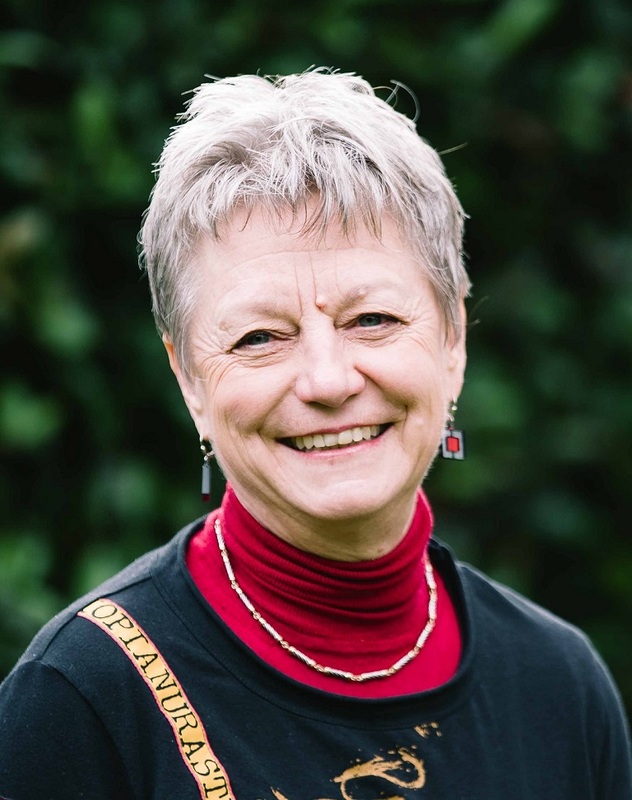 Sheʼs been a teacher, an unemployed ex-teacher, a producer of audio-books, a writer of fifty-plus childrenʼs books, and an award-winning publisher. These days sheʼs a full-time writer who paints a bit, living in the Blue Mountains west of Sydney with her husband. Next week, Virginia King and Marion Eaton and I will be doing a give-away for the first book in each of our series. Details will be posted Tuesday. (Marion was featured in an interview last month. https://amberfoxxmysteries.wordpress.com/2015/03/24/interview-with-m-l-eaton-the-mysterious-marsh ) We are fans of each other’s work and want to share that enjoyment with other readers who enjoy a touch of the mystical in a mystery.